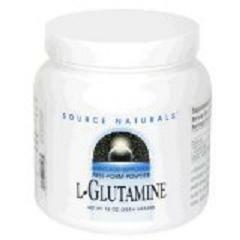 Studies show glutamine side effects to be negligible and in most cases non existent. Since it occurs naturally in your body, it is promoted as a natural product that doesn't present health risks. It is found in high concentrations in the brain, intestinal lining, lungs, heart, kidney, liver, and muscles. Many body builders use it to enhance their performance. The bottom line is that people take glutamine because it is one of the essential amino acids, even though your body produces more glutamine that any other essential amino acid. It is highly concentrated in the muscles where the function of this amino acid is said to play a role in building protein blocks. For those who swear by this supplement, the reason for taking it is as a precautionary safeguard for the times when our bodies can't make all the glutamine needed. Glutamine is promoted as an "anti-catabolic" agent, which works by preserving muscle tissue. It's important to note here that some people also try to promote it for use in building muscle. According to a 2003 study reported in the 2003 Journal of Sports Science and Medicine neither of these claims may be true. This study says that glutamine "did not benefit athletes during short-term weight reduction." The idea behind this study was to see if glutamine supplementation would stop the loss of lean muscle while losing weight. It did not. This was only a 12 day study, so results need to be studied further; however, reports such as these allow use this supplement with our eyes open. The glutamine didn't do any harm, but it also didn't seem to deliver the expected results. After reading the list of benefits, you may want to try glutamine even if the beneficial results aren't substantiated. After all that's the case for many supplements and herbal products. The good news is that in general, studies haven't reported any significant side effects for most people who take this supplement. However, it's good to take a look at the few who do experience side effects so you know what to watch out for. May cause mania in those diagnosed with bipolar disorder. There are a number of factors that come into play when determining the right about of glutamine to take. One of these factors is how much you work out and another is your diet. Glutamine is found in some foods like raw parsley and spinach. It is also found in many protein powders, and high-protein foods like fish, poultry, beans, red meat, and dairy products. For those who include natural sources of glutamine in their diet, recommended dosages are between five and ten grams daily. Some sources recommend as much as 20-25 grams a day. With this disparity it is best to check with your doctor to get his take on how much or if you should include glutamine as one of your supplements. While negative glutamine side effects are not something to worry about for most people, don't think it gives you license to take excessive amounts. Taking too much of any supplement is not a good idea, and those who have taken too much L-Glutamine have reported upset stomach. Stay safe and always follow dosage recommendations. Also take into consideration other medications you may be taking, and always talk with your doctor or primary health care provider before you take any dietary supplement. .